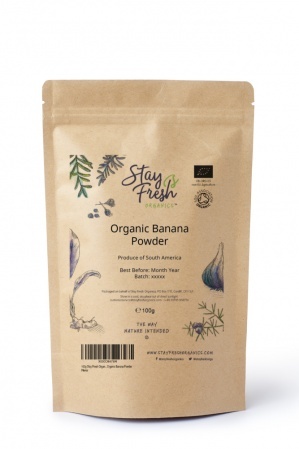 StayFreshOrganics’ organic banana powder is cultivated in South American banana farms. 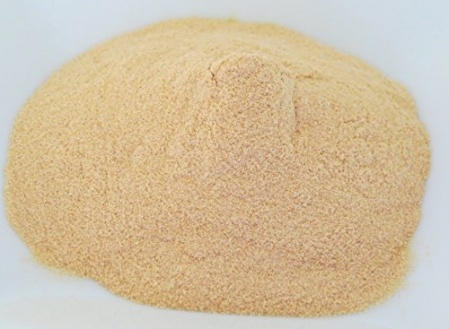 Once the harvest is collected the bananas are peeled by hand before being drum dried and ground into powder. 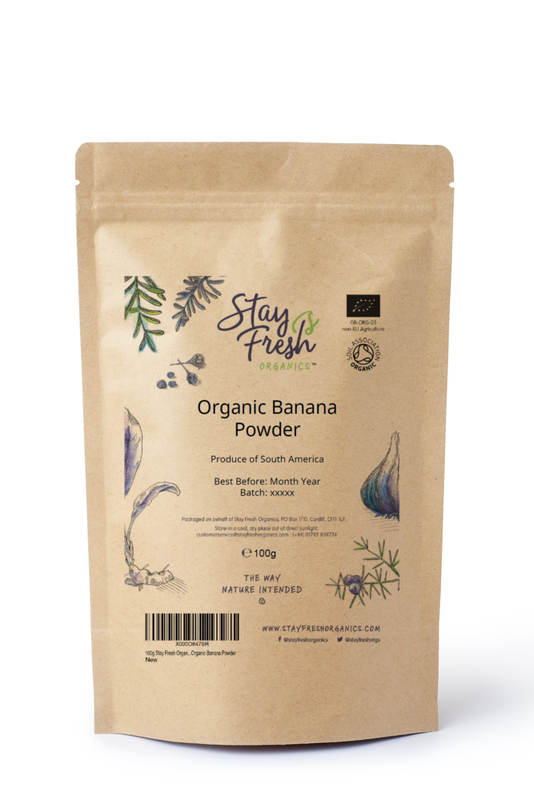 The banana powder is then packed into our resealable packaging to StayFresh for longer. Our packing environment is SALSA certified to meet the highest hygiene standards.